The canning gene skipped a generation in my family. I grew up in a family where every summer fruit became jam or jelly and the whiff of vinegar and pickling spices cleaned my sinuses most days when I walked in the kitchen door after school through September and October. Our cold room shelves sagged under the weight of all those jars by the time Halloween arrived. 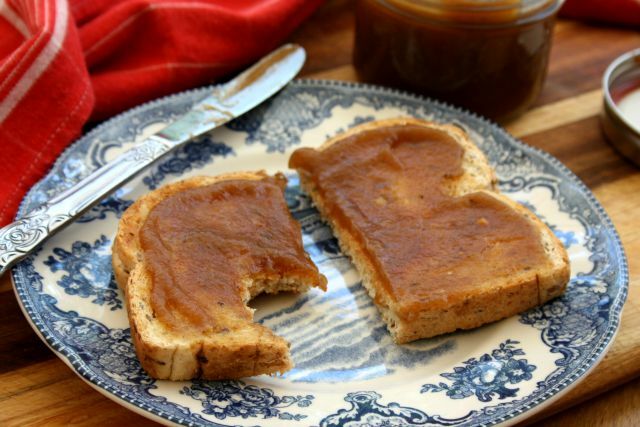 There’s nothing like a bite of strawberry jam on toast in February to make you appreciate the effort that goes into homemade preserves. My husband’s family was much like mine and we still arrive home from family visits with jars of sweet plums, spiced red currants and syrupy black currant jam. I have always lacked the skill, patience and confidence with canning to replicate my mother’s kitchen. I have made a few batches of strawberry jam (one exploded in the basement) and zucchini relish. My one attempt at dill pickles yielded okay pickles but strangely blue garlic in the jars. All of my “preserving” goes into bottles, yes, and then straight into the freezer, including an annual 36-litre batch of roasted tomato sauce. (The freezer is a crutch for the canning scaredy-cats). But then along came the cookbook The Canning Kitchen, 101 Simple Small Batch Recipes, by Amy Bronee, an easy-to-follow, confidence-building gem of a recipe book. The recipes are terrific, traditional, innovative and downright fascinating. But it’s the canning/processing checklist on page 17 that has me smitten with the book. Think of it as “canning 101” with a private tutor. Canning is so much easier than I thought. I’m all about easy steps and at-a-glance instructions, which basically sums up this book. It’s an intro to canning that you’ll never outgrow and a super handy resource. As for the apple butter, it is a hit. Lightly spiced and just the right thickness it’s a great change from jam for our morning toast. I’m participating in the FBC Canning Kitchen Blog Tour which means I also have a copy of The Canning Kitchen to give away to a lucky winner (courtesy of Penguin Random House Canada). All of us on the blog tour have giveaways, so visit all of the links below to up your chances of winning. This is only my second year gardening and the '101 Small Batch Recipes' book would be a great help! 'The Canning Kitchen' would be an extremely helpful book to own also! I love canning, but it's the storage I have to be careful of - luckily, I can spread small batch canning projects amongst my extended family. From what I've been hearing about this book, it would make a great addition to my cookbook collection. I tried canning tomatoes and it didn't work well. A book like this would be perfect to learn how to do it properly. 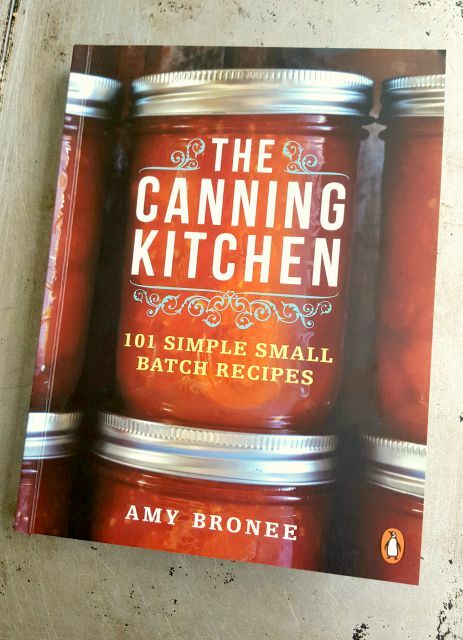 i'm scared of canning as well and depend on my freezer so I guess I need to win a copy of this book. I would love this book to make chutneys, thanks for the giveaway! Doug G.: I have a big garden including a few fruit trees and would like to start doing some canning for my family and think this amazing cookbook could definitely guide me through my new adventure! I would love to learn to make some different jellies. I love canning so would love to win this book. 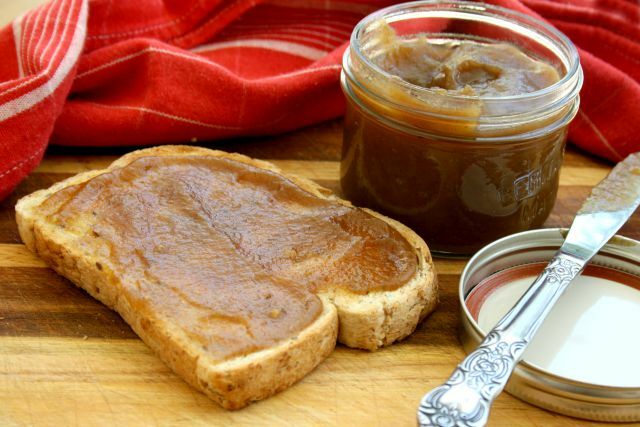 That apple butter looks so good and I have lots of apple trees ! This book looks AMAZING! Crossing my fingers and toes I win! Looks like an interesting book! I have never tried canning but would love to make some homemade jams. Apples are my favourite fruit soI would like to try making apple butter. Space is an issue, but I'd love to try canning - these small batch recipes would be perfect! Wow! This sounds amazing! I would LOVE to win a copy! I need some fresh new recipes to get me back into preserving our local bounty. 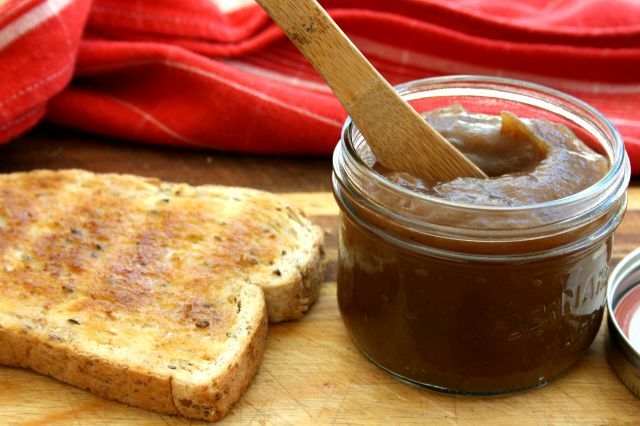 My husband made apple butter once, but I've not tried it myself. Apple season is almost upon us though. I would love to learn how to can and preserve our awesome summer and fall harvest.